Robyn closed her eyes and steadied herself as the spinning sensation faded. The rain pattered on the window and she tried to cast her mind back to the yawning lacuna in her past, as she did every night when she found herself with nothing to distract her. Peel away the onion skins, reach into the blackness. As always, it skittered away, elusive just beyond her grasp. Frustrating, shapeless things evaded her; try as she might, they wouldn’t come back. It's about a woman called Robyn Shaw who takes a job teaching at a school for especially gifted children after she's been through a trauma in Lebanon. She's not sure what happened to her, because her mind's shut the incident down and nobody's very keen to tell her very much about it. Shipped back to London, Robyn went through counselling, where she meets Mariam Shadid, who becomes her best friend. Mariam's originally Lebanese herself, a journalist based in London. Robyn's very fragile and her world starts to unravel when she meets a group of children playing in the woods by the school buildings. One of them is calling birds from the air and twisting their necks. He sees her and calls her to him, she knows to the same fate. Her battle for sanity against the boy, who is a student at the school, is also a battle against her past and its suppressed memories. Mariam goes in search of answers before Robyn is pitched over the edge into madness. It is, very much so. 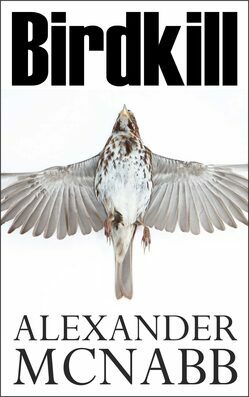 Quite a lot of the writing I get up to is inspired by dreams and Birdkill was the result of a particularly vivid dream which I noted down in the form of a short story, written sometime in the last 1980s. It sat in a file since then, a few sheets of stapled-together paper I'd sent to Sarah back when she lived in Sharjah and I lived in Northampton and we used to write to each other. I found it again when I'd finished A Decent Bomber and suddenly the book was there, wriggling in my hands like a live thing. I wrote Birdkill in six weeks. A Decent Bomber had taken me two years and Birdkill was a sort of massive sigh of relief. "Sister Mary craned forward to pinpoint the whump of rotors. The helicopter dropped from the mountains to skim the city rooftops like a fat, mottled fly. It rocked to a landing on the roof of the far wing of the hospital. Men ran doubled up under the still-whirring blades to wrench open doors." There's that link back to Lebanon again. I thought you'd been told to get out of the Middle East? Yes, but then I've given up trying to please those people. Lebanon, Zahlé in particular, just sort of shouldered its way into the book and I let it. Of the many wonders you'll find in Zahlé, the Chateau Ksara is probably the most international. It's Robyn's memories of Zahlé and her time in a school there that are repressed, so you could argue that it's all a metaphorical reference to that 'get out of the Middle East' thing. The Middle East isn't letting me go without a struggle. 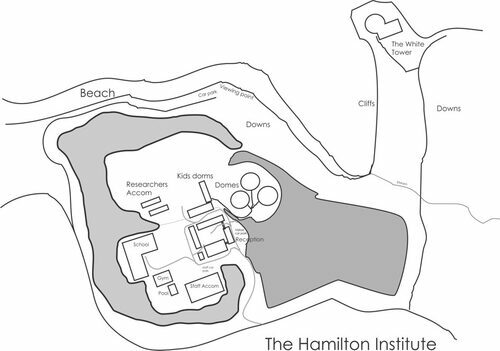 The book's actually set somewhere in England, although it's never quite specified where the school, the Hamilton Institute, is based. "The Audi TT held tight to the tarmac and Robyn revelled in the car’s electric surge around the corner as she pressed it. The road was wet, russet clouds of leaves thrown up by her passing. She flew to her new beginning, her mind having shut out much of her recent past." There's quite a lot of Ksara in there. And a lot of Audi TT, too. Yes, proof reader Katie Stine gave me a hard time over that, but I let the book have its rope and it wanted Robyn to be car-mad and love her Audi TT. And so it was. The first scene in the book to pop into my head beyond the kids in the woods and sparrows was an Audi TT driving through the dark to a new beginning. And so we have it. Have you tasted Ksara? It needs no excuses for being in the book. Wonderful stuff. I'm particularly fond of the rosé. There's a theme of suppression and repression in the book, Robyn's memories and the incident that led to her amnesia being hushed up are sort of key to it all. And Robyn's safe as long as her amnesia continues, while Mariam's efforts to find out what happened to her friend are well-intended but ultimately threaten Robyn's destruction. There's a lovely line in an early Wire song, Marooned: "An unwilling sailor adrift from Arctic waters, as the water gets warmer, my iceberg gets smaller." "The dream was still rotten in Robyn’s head when she surfaced to the wan light and the peeping of her cheap little Ikea alarm clock. She hadn’t pulled the curtain and was rewarded with a view of relentless cloud. She was warm, but her hand struck out from under the duvet and found cool air. She’d have to suss out how the heating worked. Her grasping fingers touched plastic and she batted at the thing. The clock skittered across the bedside table and crashed to the floor still chirping." Robyn's dreams leave her waking up with them 'still rotten in her head'. Is that your dream experience? No, just as much as Paul Stokes in Olives isn't me, either. I enjoy my dreams in the main - they lead to scenes, ideas and whole books. Robyn's dreams of the Void drain her. The threat of Martin's abilities, however real they are, is that they could unlock the Void and Robyn comes to fear that more than anything else. There are hints of schizophrenia in there, aspects of troubled sexuality breaking through. You'd probably have DM Thomas' The White Hotel to thank for that. The cover image of Birdkill is taken (under license) from Mary Jo Hoffman's inspiring, fascinating and often ethereal 'Still Blog', which you can travel to for a few moments of stillness and quiet contemplation by clicking on this here link. 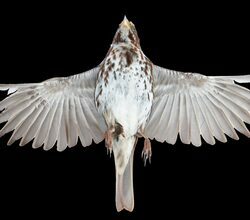 It's a fox sparrow, in case you're interested.